Empower your students to become global digital citizens who effectively and ethically contribute to the digital world around them. This practical guide explores how to transform education through the concept of global digital citizenship (GDC). Embraced by thousands of schools, GDC practices empower students to effectively and ethically participate in and contribute to the digital world around them. The authors provide a clear path for establishing a GDC program in your school and ensuring your students grow into considerate, respectful, and responsible global citizens. Discover the characteristics of global digital citizens and what these citizens stand for. Consider the limitations of conventional acceptable-use policies and instead embrace ethically driven digital citizenship agreements. Learn how to address the various stakeholder communities involved in developing students into global digital citizens. 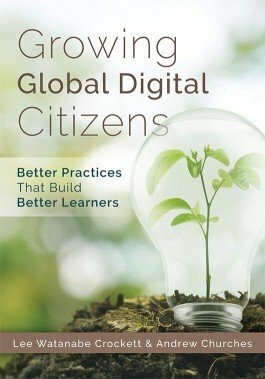 Use tools and rubrics for gauging the effectiveness and progress of your global digital citizenship practices. Complete global digital citizenship assessment frameworks. Review digital citizenship agreements for students at the elementary, middle, and high school levels, as well as for professionals and the wider community.